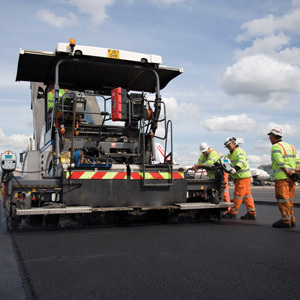 As a supplier of asphalt and other related building materials, Wight Building Materials will play a central supply role in the delivery of the roads maintenance and highways upgrade programmes run under the 25-year PFI contract. The Isle of Wight Highways PFI is a 25 year project to improve and maintain the entire publicly maintainable highway across the Island. The service commenced on 1st April 2013 and includes every aspect of the highway including all public roads, footpaths, cycle ways, street lights, bridges and other public spaces. It includes It includes almost 499 miles of road with 477 miles of footway. The project also includes 12,000 street lights and several bridges. Major upgrading will be undertaken in the first seven years and then maintained for the remaining 18 years at that level. The highway service will also include street cleansing, winter maintenance, and maintenance of rural verges/hedges. The Isle of Wight Council has a strategic commitment to an Eco Island philosophy, which we will embrace in all that we do. With such an important project comes great responsibility for the safety of road users and for the improved environment within the area. This will be monitored by a large number of performance targets and challenging standards that the delivery team will have to meet every day.